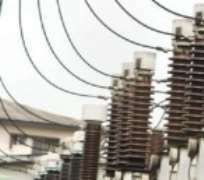 Electricity generation into the national grid has dropped by a total of 1,087.6 Mega Watts of Power, the Transmission Company of Nigeria has said. The company’s General Manager , Public Affairs, Mrs Ndidi Mbah, said in a statement in Abuja on Sunday that the drop was resulting in load shedding nationwide. TCN said the load shedding was necessary to maintain stability of the grid. The sharp drop of power generated, it explained, was occasioned by gas pipeline rupture on June 15, and technical issues at the Shell gas wells on June 16. TCN further explained that six thermal power generating stations were currently unable to generate electricity and have therefore been shut down due to the Nigeria Gas Company (NGC) pipeline incident. The company listed the affected power stations to include Ihovbor, Azura, Omotosho gas, Geregu gas, Olorunsogo gas, Sapele and the Egbin power stations . TCN said the six power generating thermal stations had managed to generate 60MW only on each of its units, losing a total of 211MW. The company also said Afam VI power station was shut down so that Shell oil company could resolve its gas well issues to enable it commence gas supply to Afam VI power station. The TCN spokesperson also said NGC was making efforts to ensure that the gas pipeline issues are resolved to restore normal gas supply to affected power generating stations,to enable them generate into the grid. The company also said that Shell had in the morning hours of June 17 resolved its gas well issue and gas supply partially restored to Afam VI power station. TCN also noted that there was no collapse of the grid as was reported in some quarters. The company appealed for understanding, adding that TCN engineers were working hard to maintain stability of the grid, pending completion of repairs of gas pipeline by NGC and restoration of full gas supply to affected generating stations. In a telephone interview, AEDC's Head of Corporate Communication , Mr Fadipe Oyebode, attributed the non supply and load shedding in some areas to the limited allocation from the national grid to AEDC. Oyebode said AEDC was only allocated 194.58MW from the grid on June 16, out its total 11 per cent total allocation hence its inability to fully supply to its customers.